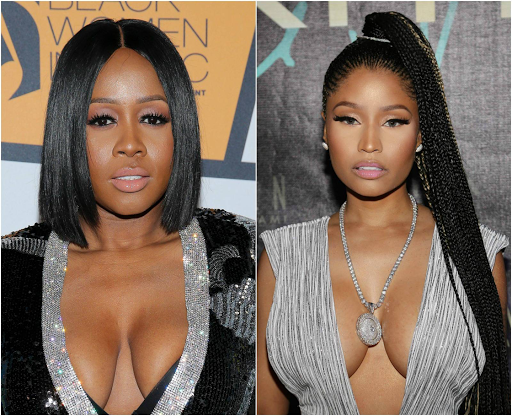 Nicki Minaj's fans are definitely not here for Remy Ma's attempts at dragging her name through the mud. They have been trying all types of things to bring the Bronx rapper down & they will stop at nothing until she's defeated & remains that way. Get all the juicy details below. After Remy unleashed the diss tracks "Shether" & "Another One" fans have tried to get her in trouble by contacting the Mattel company stating that she is using the image of Nicki's doll for profit. When that didn't work they have now tried to get her in more trouble with the law by contacting her parole officer making claims that she is doing alleged things that she's not supposed to be doing. As many of you know she was jailed for 8 years for shooting her former friend Makeda Barnes-Joseph.